Join the YCL and other British Bulldogs for a lovely London-based walk along the Thames. 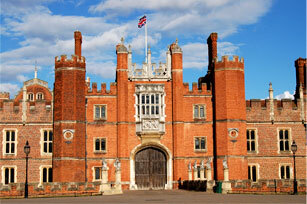 Meet at Waterloo Station to catch the 10:06 train to Hampton Court arriving 10:42. We'll see the grounds of Hampton Court Palace (celebrating its 500th anniversary this year), then proceed along the Thames to lunch at a riverside pub. Continuing down the Thames we pass the amazingly well-preserved seventeenth-century Ham House and several other grand houses and may even encounter a polo match and grazing cattle in the meadows near Richmond. We finish with one of Richmond's delightfully situated waterside pubs. Please choose footwear appropriate for the occasional muddy patch and potential rain! Please RSVP for this event so we know how many to expect!